A rare painting by Amedeo Modigliani has been sold for a record fee at Sotherby's, New York. "Sold! That, ladies and gentlemen, including the fees, I am pleased to confirm the final selling price all in is $157.2 million. for the masterpiece by Modigliani," the auctioneer told those gathered in the auction room. 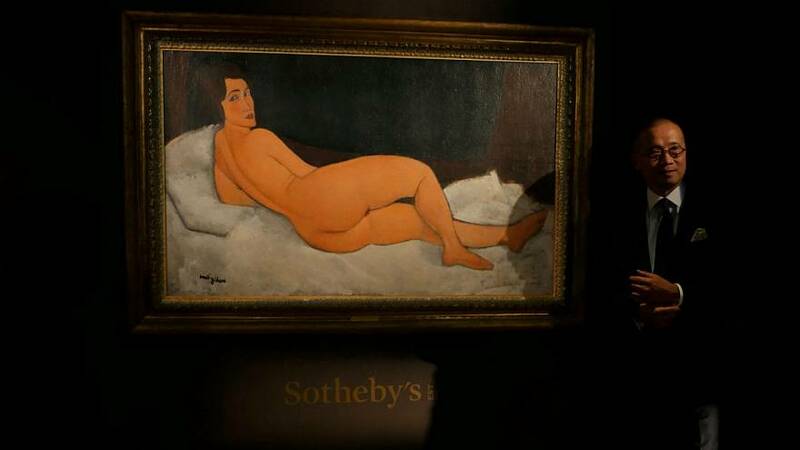 "Nu Couche (sur le cote gauche)" fetched the highest price in Sotheby's history. Modigliani follows Leonardo da Vinci and Pablo Picasso as the third highest-selling artist at auction. The seller acquired the picture in 2003 for $26.9 million.